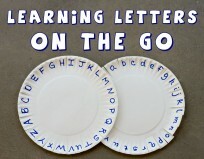 Letter Of The Week ! B b ! We are going bananas, all week we will be following a fruit theme for our activities. 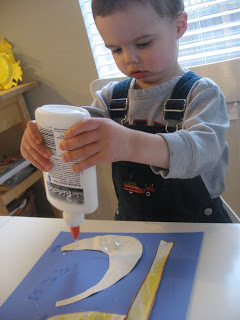 What I love about this Banana B is that if your child is moving on from upper case letters to lower case ones you can still make this craft, simply leave out the top banana! 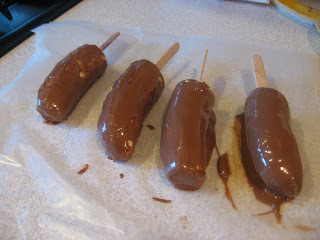 Don’t miss the super easy banana treats below, they were a huge hit at our house. Gather your materials. 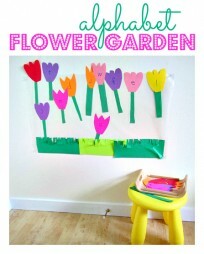 You will need 2 pieces of construction paper, some yellow paint, a paintbrush, marker , scissors and glue. 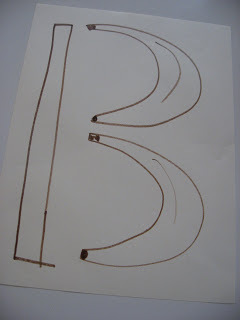 Start by drawing two curvy bananas and a long thin rectangle to make a B. They don’t need to touch they will be cut out after the next step. 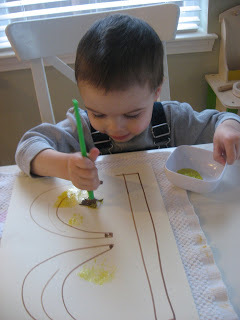 Using yellow paint (crayons or markers would be fine too) paint the bananas and the rectangle. Let Dry. Cut the 3 pieces out. Next Post: Learning is Blissful ! Previous Post: Weekend Repost – Have A Ball ! They were so good and I am salivating looking at them, I am trying so hard not to go to the market to get chocolate! Ha! He isn’t ! Too funny you noticed Brenda. Great craft…my son & I look forward to your crafts everyday….He LOVED the chocolate covered bananas. Thanks so much!! I noticed that even bananas require yellow GLITTER paint 🙂 . 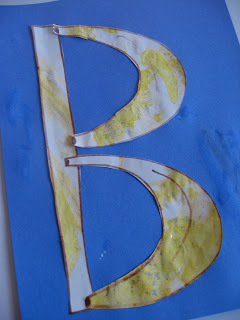 My son was more interested in painting his matchbox cars yellow than the bananas so our “B” will be very white. Oh well 🙂 . 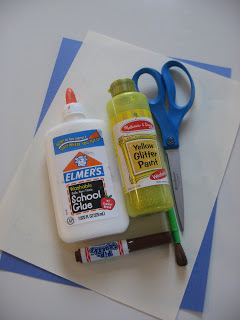 I do love sparkles but that wasn’t planned, we used up all our regular yellow paint and I keep forgetting to get more, and keep buying more paper instead! Ooops! We will be doing some transportation themed things soon- which might excite your little man a bit more than fruit! Stay tuned! We just did this craft and made the bananas yesterday. The girls had a blast doing it. I noticed though all they wanted to eat was the chocolate off of the bananas though. 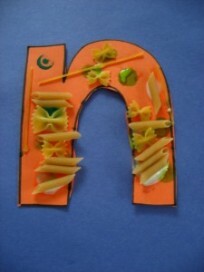 Very cute craft and snack to make! Love your wesite! !